HONDA CIVIC in awesome condition. • CPLC cleared and tax up to date. • Engine in pristine condition. • Excellent suspension and axle. • 16inch BBS Alloys with new DUNLOP tyres. • Smoked HIDs installed with DRLs. • Front bumper lip installed. • Car alarm system with Jack knife key. • Stiched leather seats and wooden wrapped console. • Roof wrapped with 3M glossy paper. • All functions working properly. 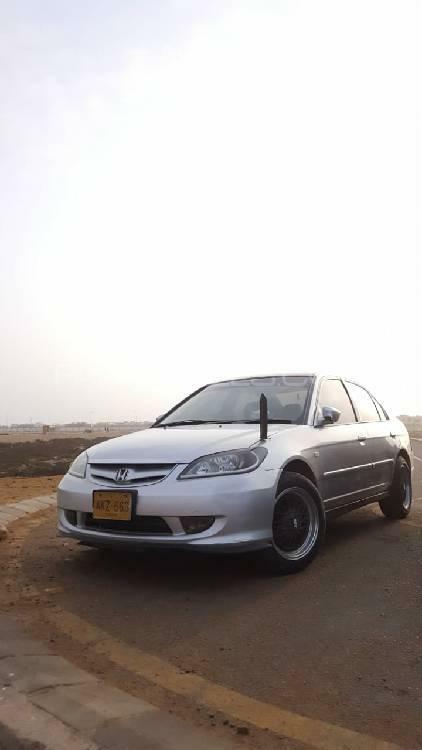 Hi, I am interested in your car "Honda Civic EXi Prosmatec 2006" advertised on PakWheels.com. Please let me know if it's still available. Thanks.